Journaling arguably dates back to the innovation of pen and paper. Yet this age-old practice is getting a resurge. A few years-ago Ryder Carroll publicized his Bullet Journal system and method, which he had been honing for years to help him focus and be productive. Since then Bullet Journaling has practically become be movement. 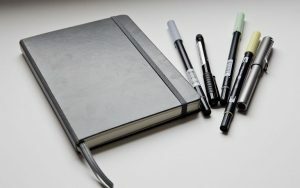 A lot has been said about the “BuJo” system and what it can do for you. Here are a couple of Bullet Journaling benefits that will make you want to grab a pen and notebook today. You probably aren’t surprised to hear that using a journal can help you get organized. But if you’ve ever tried using popular organizing systems, you know that this isn’t always the case. For Ryder, it wasn’t. He tried other methods, but they came up short. These experiences led him to invent something that would work when other approaches didn’t. The beauty of the concept is the possibilities it offers and its simplicity. With a practically empty sheet of paper and pen, you can customize your journal exactly to your liking. And with a solid system in place, it can actually work. Mindfulness and its benefits are all the rage these days and there are more ways to practice it than just formal meditation. Bullet Journaling according to Ryder is one of these ways. Getting what’s on your mind onto a Bullet Journal can keep you mind at rest and promotes a worry-free lifestyle, befitting for Bridgeway. What benefits do you see in journaling?